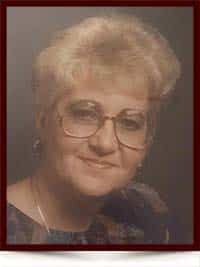 Dora (Baba) Loyie - Edmonton's Burial & Cremation Professionals | Trinity Funeral Home Ltd. It is with great sadness that we announce the sudden passing of Dora. She is survived by her daughter Tracey (John), granddaughters: Daneile and Sarah, brother Steve (Olga) and sister Irene (Peter). Dora was predeceased by her husband Edward “Wally” Loyie, parents: Michael and Anna, brother Mark and sisters Emily and Helen. Dora, affectionately known as Baba, will be dearly missed. A celebration of her life and internment will take place at a later date. Vechnaya Pamyat..Dora…I will miss You..My Friend…..May Her memory be eternal. Dora will always be remembered, a very special person whom I’m blessed to have known and proud to say she is my friend. My thoughts are with Dora’s family and all who love her. We are so saddened by Auntie Dora’s sudden passing, and offer our deepest condolences to the family. Her always smiling face and her telltale laugh will be deeply missed.